I’m on one of the new fliers for ELLA, the group that I teach Lindy with in Eugene. It’s the group that gave me my first swing lessons, too. 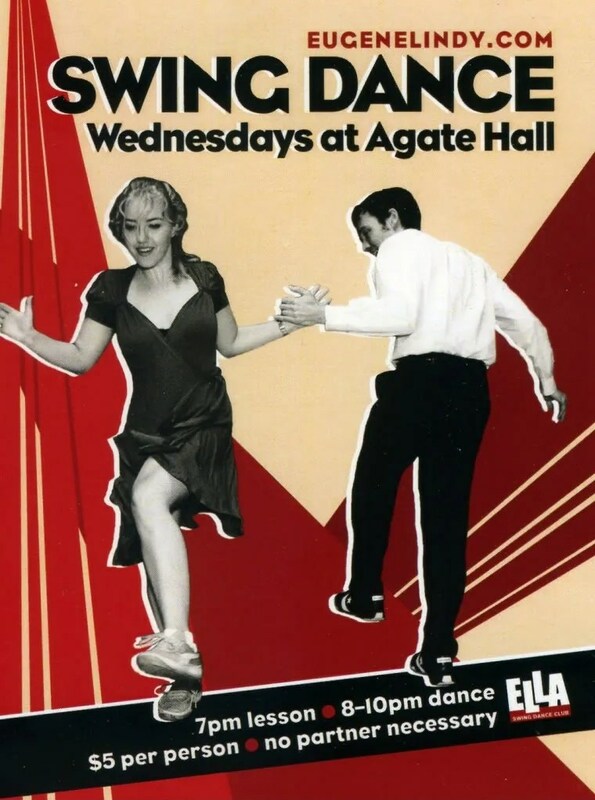 We have a dance every Wednesday evening, with a drop-in, beginning lesson just before. If you’re in Eugene, come join us at Agate Hall, at the University of Oregon. This flier was designed by my friend, Karly Barrett. My partner in the photo is another friend, Renukah Hunter. The photo is by Martin & Renee Norred. love the poster! they definitely got your look.